Excuse the crass language above, it's all Martin McDonagh's! And unlike what Colin Farrell's character in In Bruges may think, this place is not a shithole! Far from it. It's my last night here in Bruges and though I will have spent a solid five days here, I still feel like I'm not quite yet done with this enchanting little city. As the city's official guidebook says (and yes I am quoting a guide book here), it's a place "whose secrets you can’t unlock completely although they’ve captured your heart". 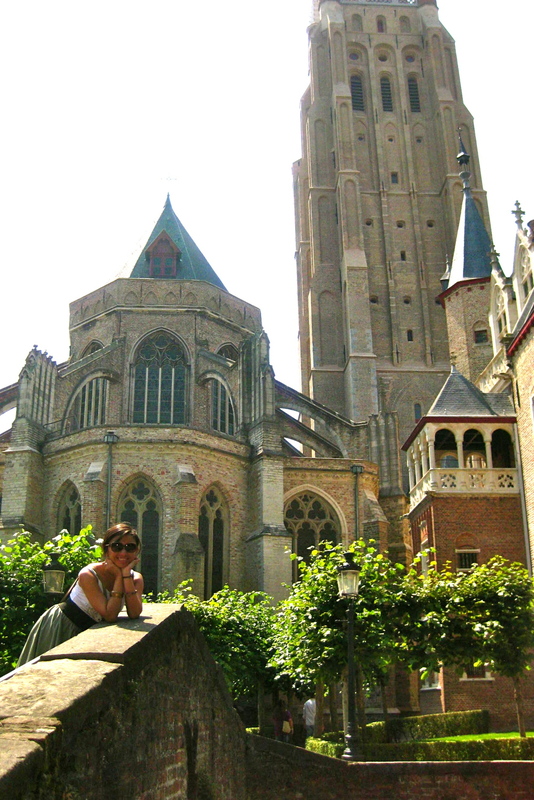 I can't think of any better way to describe my feelings about Bruges. It's romantic and eerily mysterious all at the same time. It's a relic of the past and yet oddly modern as well with the ubiquitous wifi connection from the many cafes -- even from the famous Belfry! -- bringing you back to the present day. I've never been to a place that's made me feel like this before and I'm truly sad to be leaving already. Ik hou van jou, Brugge!